The impact of these relationships can last for years, if not forever. Intimate involvement with partners who are selfish, punitive, and dishonest can feel lonely and painful. The impact of these relationshipscan last for years, if not forever. 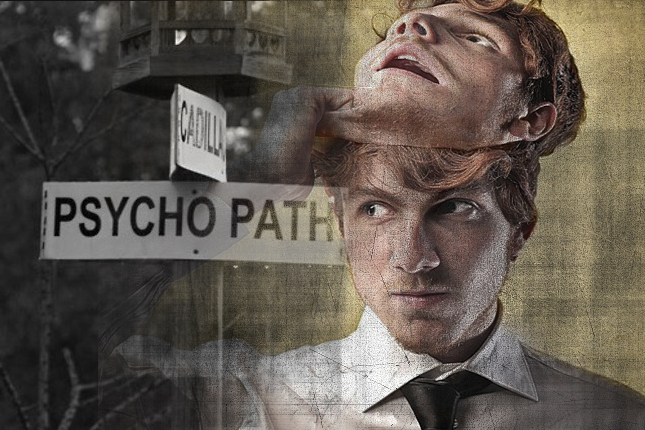 Most people have never romantically encountered someone with traits of psychopathy in their past. Therefore, they might find themselves unfamiliar with common manipulative tactics or the flippant manner someone with psychopathy can swing from ‘love’ (lust/attraction) to disinterest. When we love someone we try to help or even heal their short-comings. This is also true of men and women involved with abusive partners. They may attempt to give love, compassion, forgiveness and understanding to not only hold the relationship together, but to calm or fix their mate. However, for someone with strong traits of psychopathy, those strategies are often not effective. It will not change the relationship into a healthy, cooperative union. Due to the neurobiology of psychopathy, they are minimally motivated to change their behavior based on emotions anchored in empathy and love from their partner. But of course, someone unfamiliar with psychopathy would not know that. One of the lessons they will likely learn quickly is that they must be careful not to ignite their mate’s temper. Many with psychopathy are prone to aggression. Given the toxicity of many of these relationships, one might find it unusual that they struggle to move past the breakup. The assumption would be that these individuals would be easy to get over because they caused such emotional upheaval. But the fact is, they can be harder to move past. An individual might crave the person with psychopathy, yet simultaneously not really like him or her! After a relationship of this nature, those reactions are normal. There are many variables at play when we go through a typical breakup, such as craving our old partner, grief, and sadness. However, for those who were intimately connected with someone with psychopathy or narcissistic personality disorder, their breakup will include several more variables that tend to be absent within normal or non-abusive relationships (e.g., trauma bonding, over-stimulated stress system). Toxic relationships extend beyond damaging your mind — they can also damage your body. A person’s psychological well-being and physical health can be on the line because of exposure to harsh behaviors and mind games. Our brain responds to how we are treated. If treated well and surrounded by safe, kind people, it functions optimally. If treated harshly, our stress systems spring into action and the resulting neurochemistry will change how it functions. Two of our stress systems, the Locus Coeruleus Norepinephrine System (LC-NE) and the Hypothalamic-Pituitary-Adrenal System (CRF-HPA) can really take a pounding in relationships that involve intimate partner (emotional or physical) abuse. When these systems are activated repeatedly or if the incident is severe enough, just once, the impact on a person’s mental health can be tremendous. There are some individuals who have been exposed to manipulation, betrayal, and abuse for such an extended period (chronic) that they develop heart, immune, pain or fatigue disorders. They pay a price with their health (or life), simply because they fell in love with a selfish, uncaring partner. Psychopathic or narcissistic abuse often brings unbearable pain that can change a person’s mental and cognitive (thinking) status. This pain could potentially lead to trauma-related conditions such as depression, severe anxiety, post-traumatic stress disorder, and complex post-traumatic stress disorder. These conditions could place the non-disordered person’s life at risk (e.g., suicide) if not treated by a well-trained clinician. Why are post-breakup periods harder for those who were involved with someone with psychopathy or narcissism? Intimate involvement with a person with these conditions often includes betrayal, a near complete change in behavior in comparison to the beginning, cheating, lying, secret life, broken promises, smear campaigns (trashing their mate’s reputation), and profound disinterest after professing their love. These are not behaviors anyone would ever expect to experience with the person they loved. Naturally, it leads a person to endure intense pain. Let’s touch on three differences between a loving relationship and one where the partner is emotionally incapable of caring, kindness or bonding. 1. Someone who loves another will not try to damage the psychological foundation of their partner. They will not play mind games for their entertainment or to watch their power on display. 2. When someone is bonded deeply to another they will not require their mate to relinquish their sense of self, opinions, thoughts, specialness, social connections, or human rights. They do not isolate them. This is not so for intimate partner abusers and many with psychopathy or narcissistic personality disorder. They typically want their partner to feel less than and inferior ― it is required in order for them to feel special (narcissists) or powerful (psychopaths). Of course, there are some exceptions. People are complex. 3. Someone who loves another will feel guilt if they hurt them. Oftentimes their actions will be followed by an apology. However, for individuals with psychopathy, there will never be a sincere apology or accountability for their behavior. Even if the pain they caused devastated or destroyed the life of another person. Aside from the potential life-threatening encounters for those who are physically abused, individuals exposed to emotional abuse are also under dire circumstances. The pain lingers after psychopathic love relationships because the brain was exposed to abnormal conditions. We are not “made” to be treated harshly and as a living being we change in response to that mistreatment (e.g., might develop anxiety, insecurity, depression, PTSD). This is true of people and many animals. Our brain circuitry and chemistry respond to the people in our lives. It attempts to adapt and normalize our experiences. Although neuroplasticity is a necessary process for our brain, when it has to adapt to a life of deception, conning, aggression, and inconsistent behavior there will be consequences. Adapting to the pathology of another can lead to decompensation in the mental and physical health of the non-disordered person. Paying attention to the type of people we allow in our lives is vital. Others can significantly impact our neurobiology. This could forever alter how we feel and think.